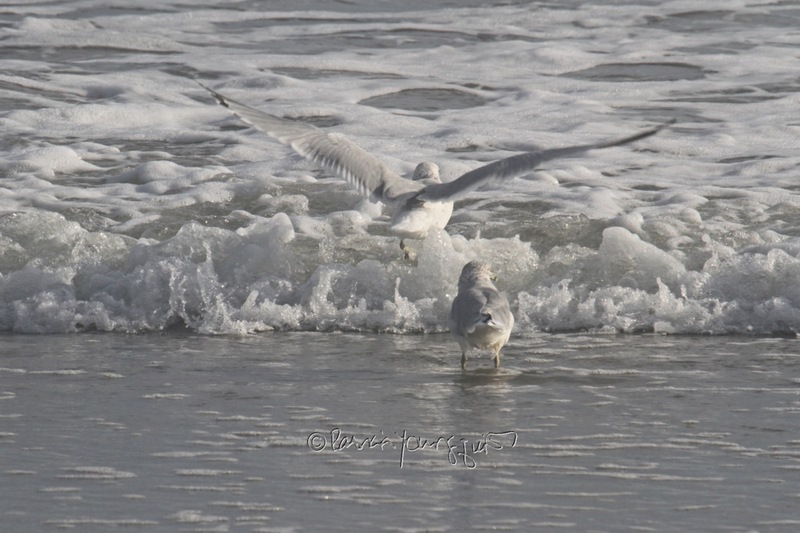 It's been eightenteen days since I made my first beach trip for the 2017 year, and I am still in awe of what I witnessed re the seagulls who I encountered there (Long Beach on Long Island in NY). 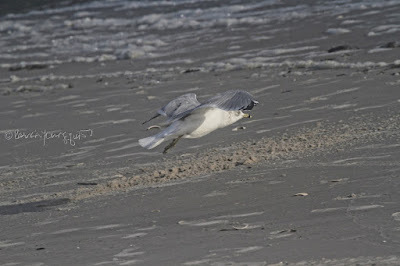 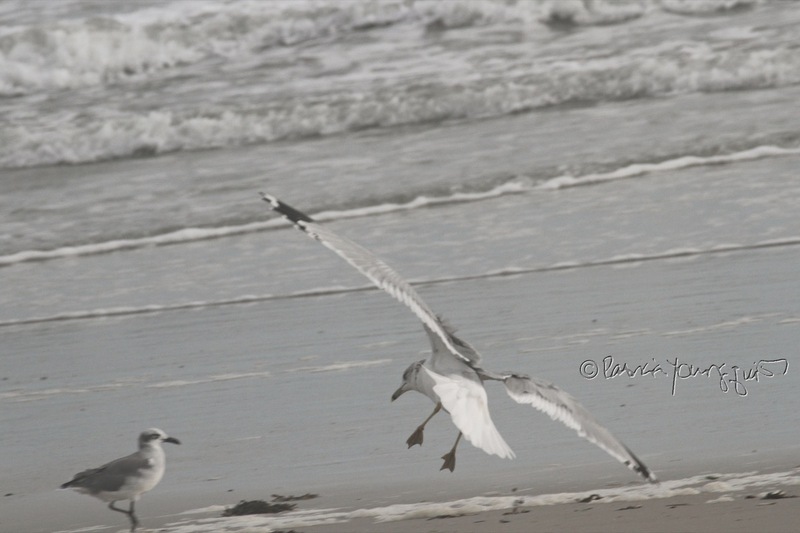 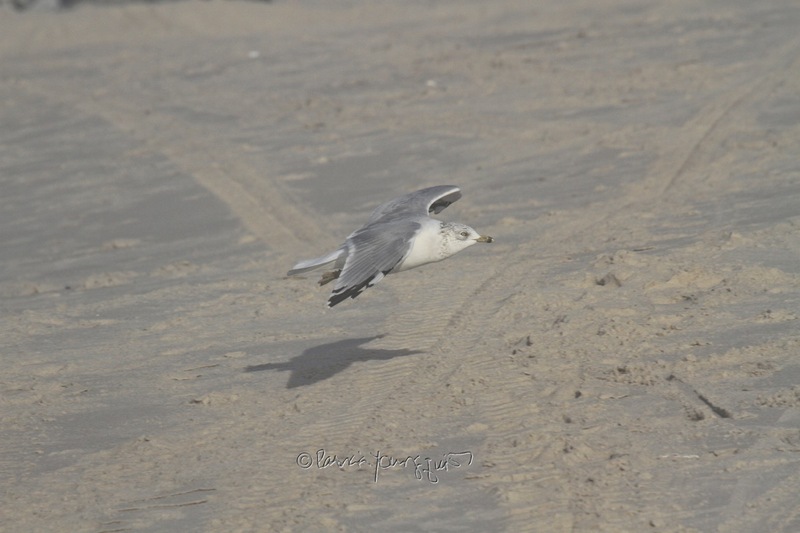 In addition to learning of the differences between Herring Gulls and Ring-billed gulls, as well as seeing seagulls bathing in the Atlantic, I was reminded of just how low seagulls flew; as evidenced in the photographs atop this entry. 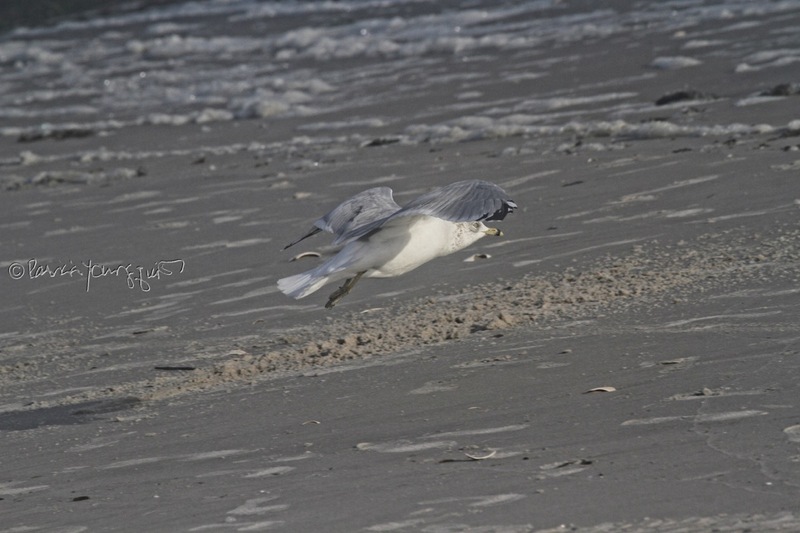 During my visits to both Long Beach and the beach at Robert Moses State Park in bygone years, I had witnessed seagulls flying very low. At that time I researched what might be causing them to do this, and I learned that "there is in aerodynamics, a phenomenon called 'Ground Effect.' 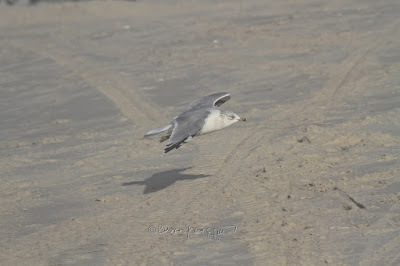 (The effect of added aerodynamic buoyancy produced by a cushion of air below a vehicle moving close to the ground.) 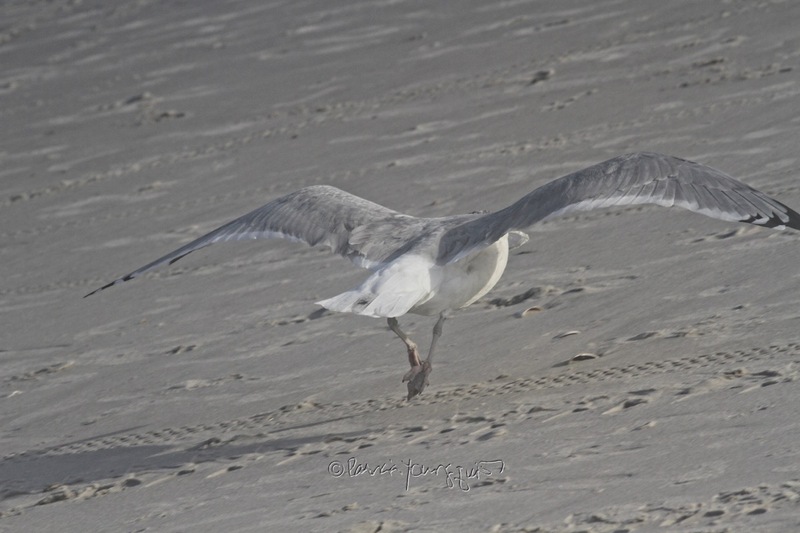 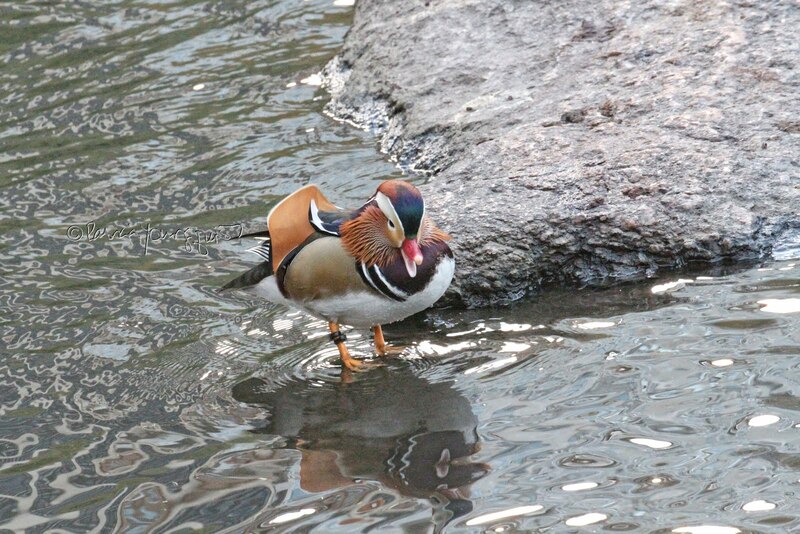 It is where the air under a wing is being squeezed between the wing and the ground. The height of the ground effect depends on the size of the wing. 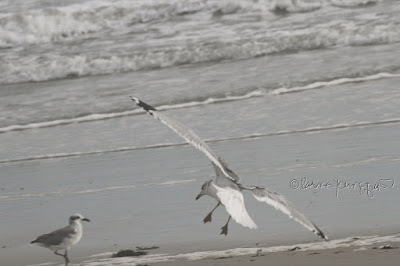 So seagulls glide close to the surface because it is easier to glide there. 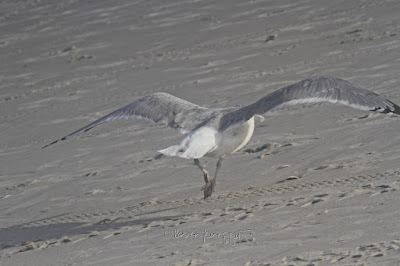 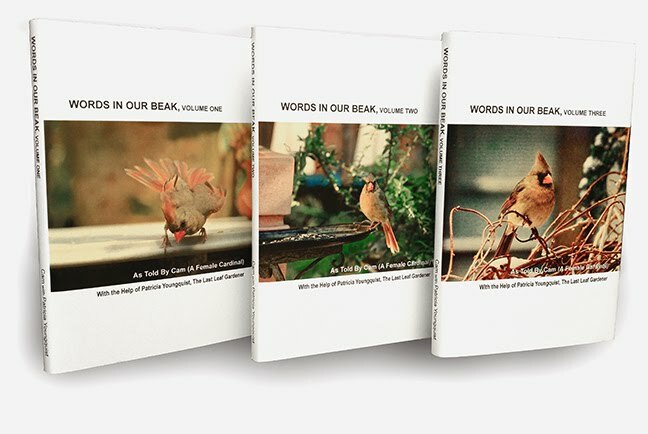 Pelicans use ground effect, as do other sea birds." I discussed these findings in a 2013 posting here on Blogger which you may reference by clicking here. 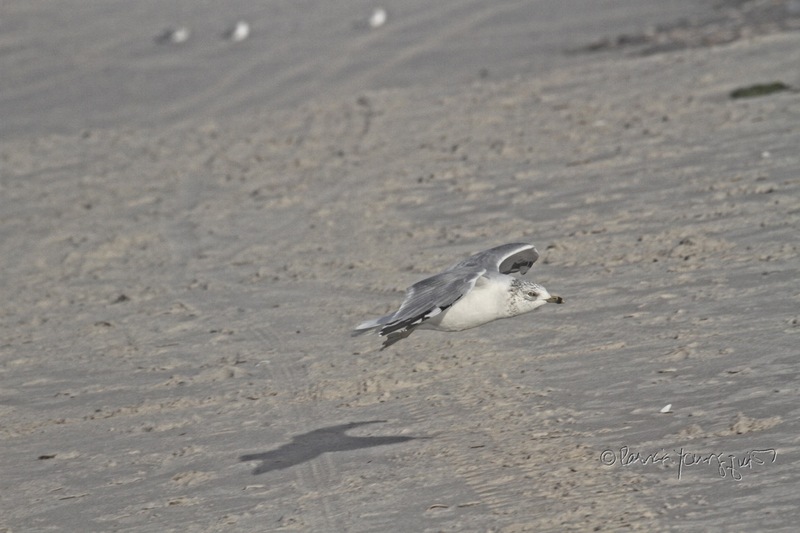 Meanwhile, more pictures of the low flying gulls, who I saw on October 7, 2017 can be found directly below.